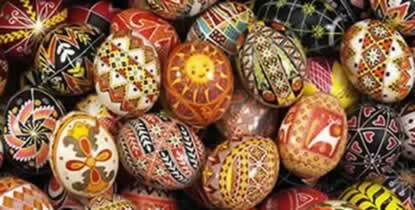 Hone your pysanky skills with expert and best-selling author Joan Brander as she shares information, knowledge, hints and money-saving tips for all levels of experience. This eBook follows the print version of the popular Pysanka Power Pamphlets compiled, published, and printed since 1997. This eBook is enhanced with more than 50 photos and diagrams, more than 15 Christmas designs, and more information than ever before. Making pysanky has never been so easy, fun or affordable. Joan is proud to be preserving one of the great traditions of all time-PYSANKY! Also available as EPUB at Lulu Bookstore, Apple iBookstore, Barnes & Noble NOOK, Amazon Kindle, and Kobo and Everything Else.